The Amazon S3 ("S3" is an acronym for “Simple Storage Service”) is the one of most advanced file-keeping storage services of modern type known as “cloud servces”. Manipulating with the storage through the network interface, Amazon S3 allows users to store, share and synchronize any type of data files. Interestingly, some popular “cloud services” of user-level segment ilke Bitcasa, Zmanda and Dropbox all uses Amazon S3 as the real host for transferring and keeping data. Amazon S3 is proven to reliability and durability of data keeping, as well as to reliability of any connections established by server side. No level of data loss is marked by Amazon as satisfying. Operations through Amazon S3 file transferring are both secured via HTTPS and Amazon S3 own methods, and encrypted with options such as client library encryption and built-in S3 Server Side Encryption. The owner of data can strictly control who and how may have an access to all parts of information stored by a particular user. Like the most modern cloud services, Amazon S3 can be a viable option for backup. All you need to perform the safekeeping of your data is an Amazon S3 client for backup. This option contains readily in some modern backup software. A counterpart of Amazon S3 is existed; this service, named Amazon Glacier, designed for reliable keeping the data with a relatively small frequency of calling and renewal. 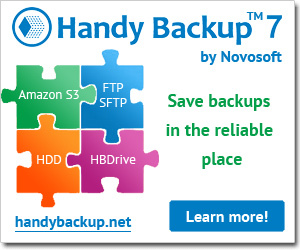 This service is also an excellent backup storage, compared by efficiency and cost with tape backup technique of old days. The Amazon Glacier cost for now is just $0.01 per gigabyte per month, signinicantly cheaper than any of the more fast cloud services. Also, the latency of Amazon Glacier is very high and may be measured in hours, not in milliseconds. The glossary contains 178 terms. The current section General IT contains 4 terms.